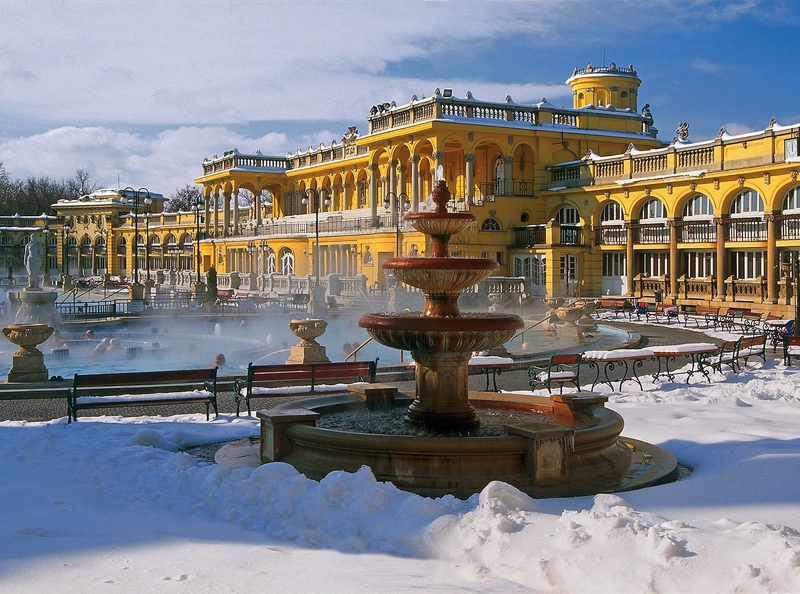 The Széchenyi is one of the largest thermal complexes in Europe and one of the first thermal baths of Budapest. 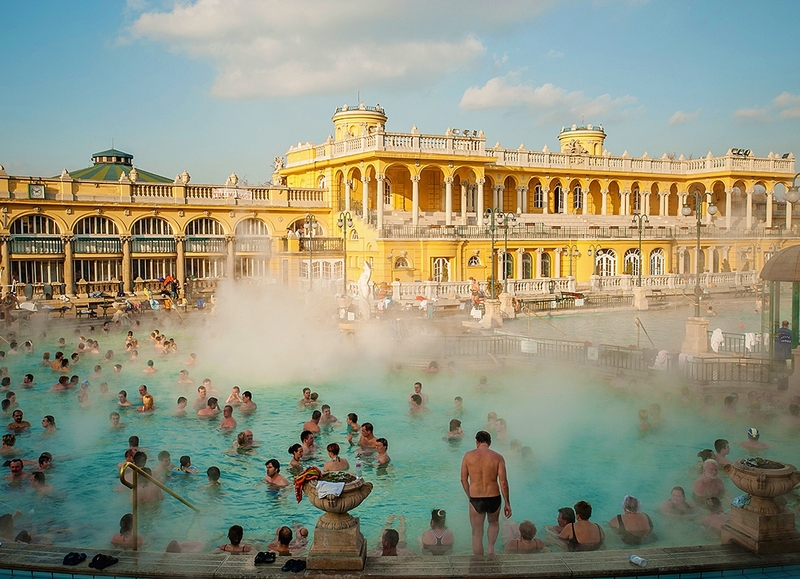 They were built between 1909 and 1913 in a Neo-Renaissance style.The water reaches the surface at a temperature around 76°C, and emerges from the second deepest spring of Budapest, a thermal spring some 1,246 meters below the surface. 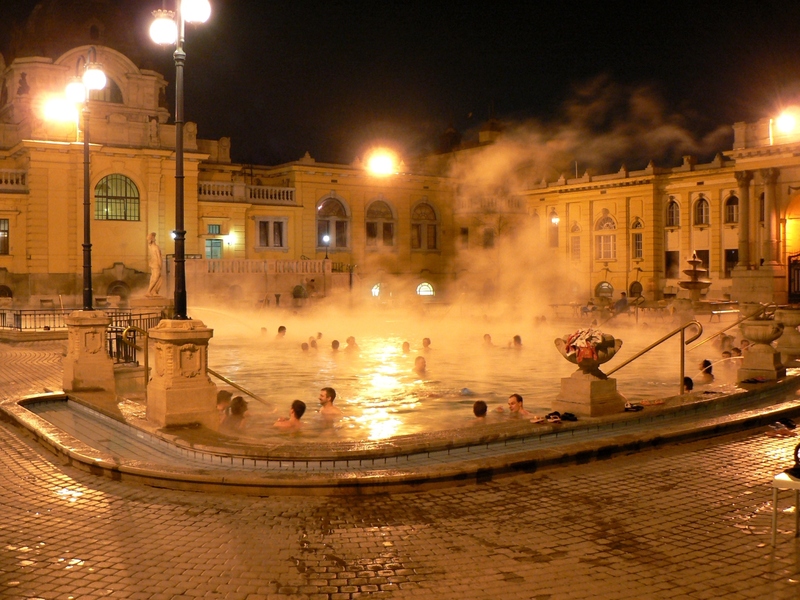 This complex is one of the 3 thermal baths of the capital to not miss. There are approximately 15 pools available to you with a standard entrance ticket, and also several steam rooms and saunas. There are three large outdoor pools including one dedicated to swimming. There are also two other large pools, one of these at the very comfortable temperature of 35-37°C, with their two chess boards for games in water. 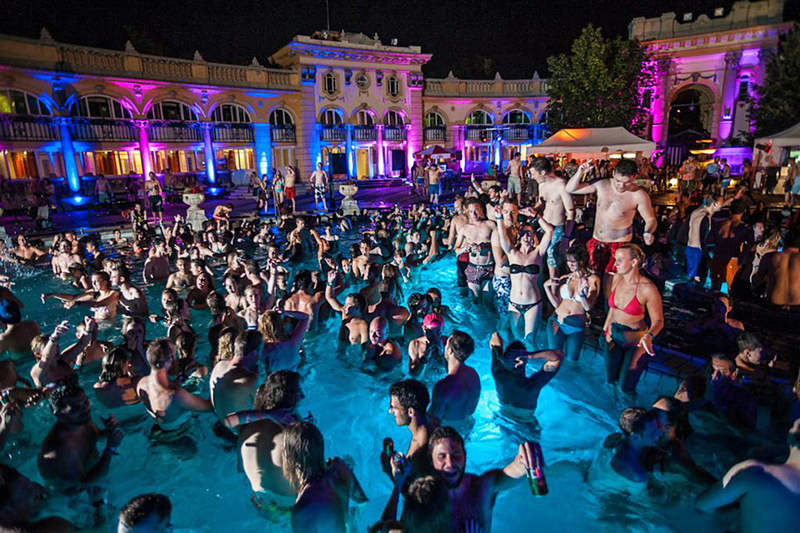 The advantage of Széchenyi, in addition to having an astonishing authentic beauty, is its generous recreational areas and the size of his pools, one of the largest of the country offering a temperature greater than 35°, which allows everyone to be comfortable even in the busiest periods. 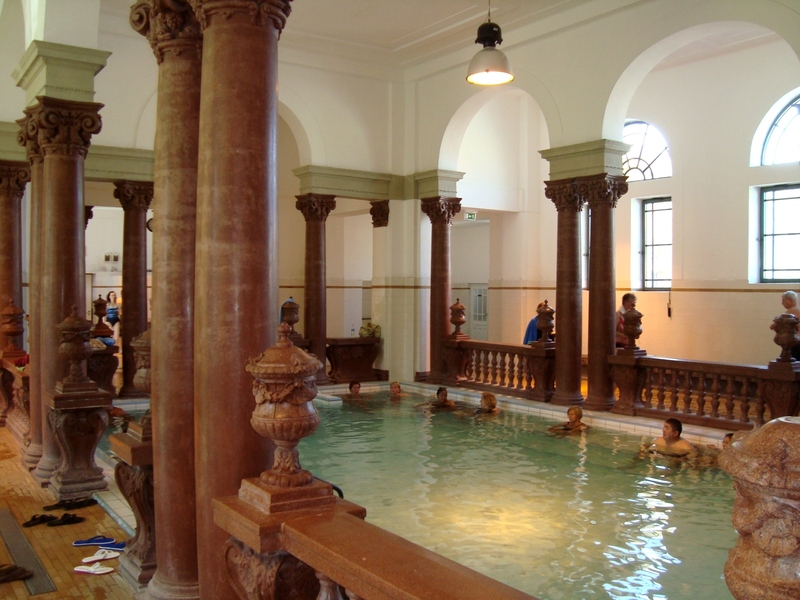 A metro station is now located just at a few meters from the entrance of the baths. There are two official entrances. Be careful, because from one of the two entrances, you exit from the locker room directly to the three grand outdoor pools, and you have to keep your eyes open not to miss the whole indoor part and the large sauna one floor below ground level. These two zones are accessible from the large outdoor area of the three pools, but are not obvious to the unaware visitor!